An employee training schedule is about a timetable regarding an employee’s training dynamics. It consists of a list of activities and time frames at which possible tasks or actions are intended to happen. 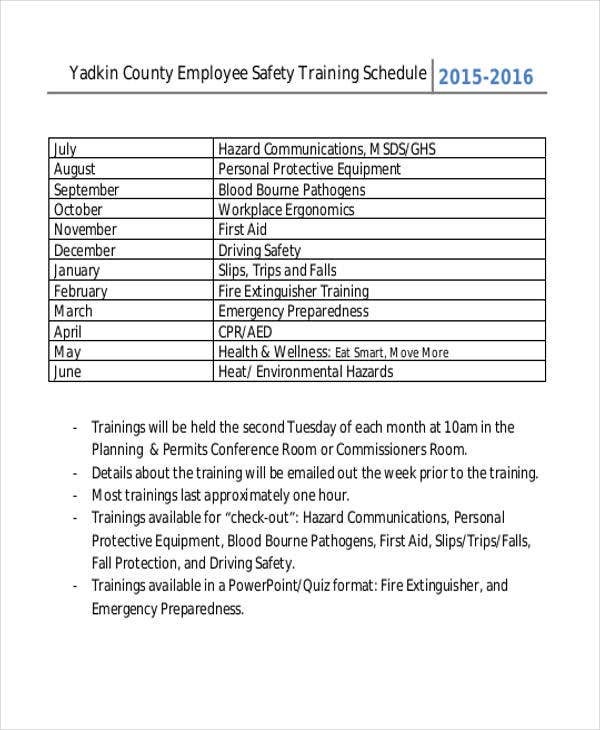 In order to make an organized employee training schedule, a template is essential. Templates are great if you are going to make the same document over and over again, you can just save an offline copy for documentation purposes. It will be a whole lot easier to make another one in the future. 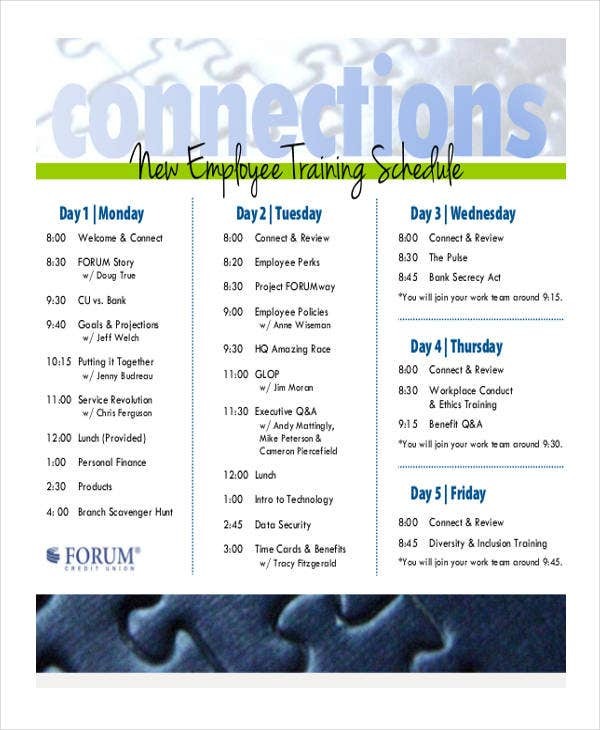 In this page, we offer a wide selection of employee training schedule templates. These are easy to edit and can be used as a good reference. A lot of people nowadays prefer to make use of templates since they are easier to utilize and can save time, which means their convenient for the users. Templates are pre-created and pre-formatted. There’s no need to figure out what format to use and what contents to include. 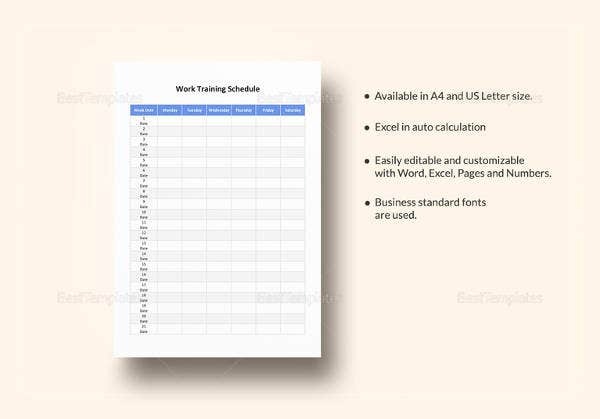 One sample that we offer here apart from these employee training schedule templates is our Training Schedule Template samples. 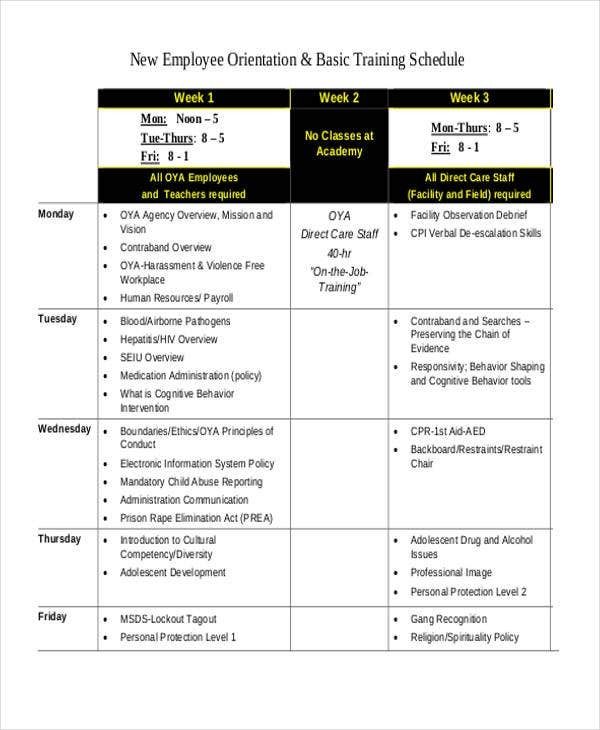 These consist of a standard and general schedule format for all training types. 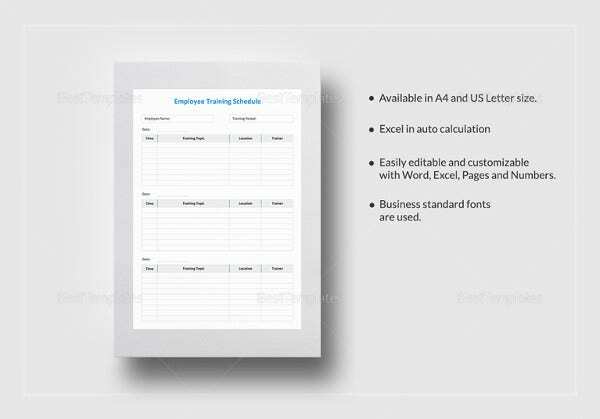 Templates are created to achieve a very particular need in the business industry and in other aspects. There is a need for a well-made and polished documents following the high standards of today’s society. Regardless of what field you belong to, you start to understand and identify the importance of standing out. 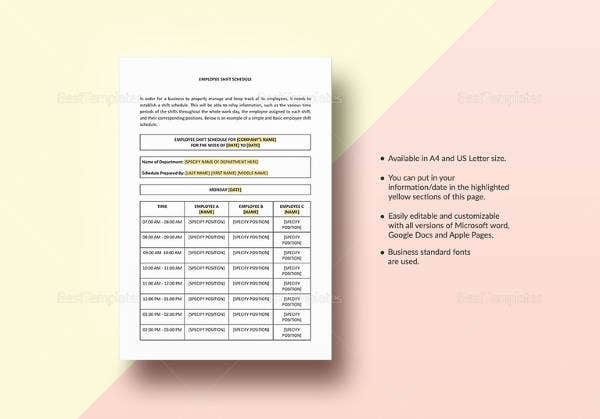 Here in template.net, with our ever-developing list and compilation of document templates, we offer you a great way to stand out and achieve success. Whether you need documents for general consumption or specific documents (such as Employee Training Schedule Templates for HR officers), we have them for you. 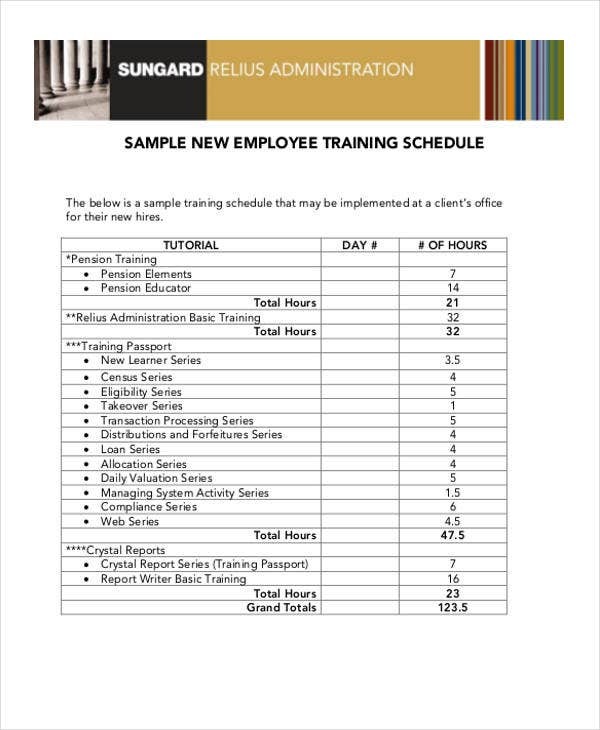 If you are looking for a specific sample of an employee training schedule template, take a look at our other samples available for you to download. You can also use these as your reference. 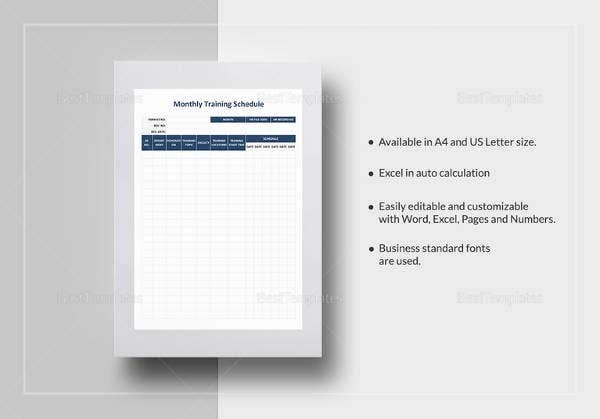 New Employee Training Schedule Template – This is ideal for newly hire employees who need to undergo certain training. 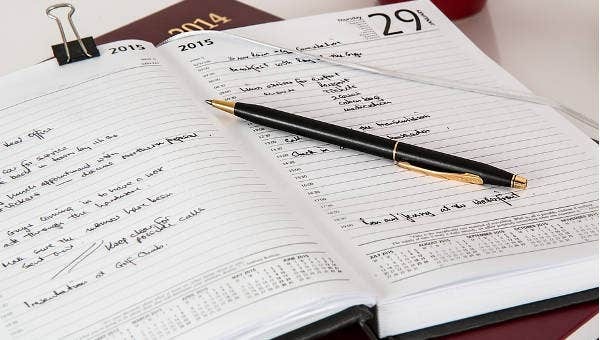 This consists an organized timetable so that it will be easier for new employees to track their training schedule. 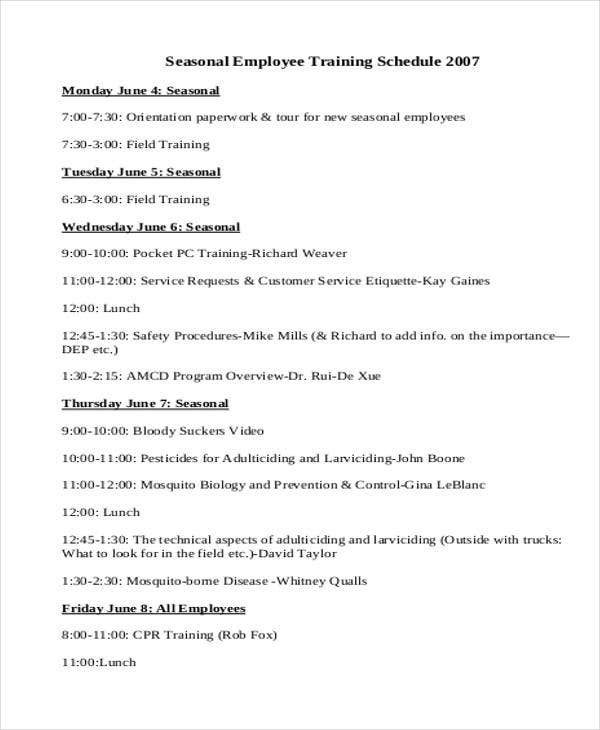 Employee Safety Training Schedule Template – If you are making a schedule for safety training, this template is best for you. 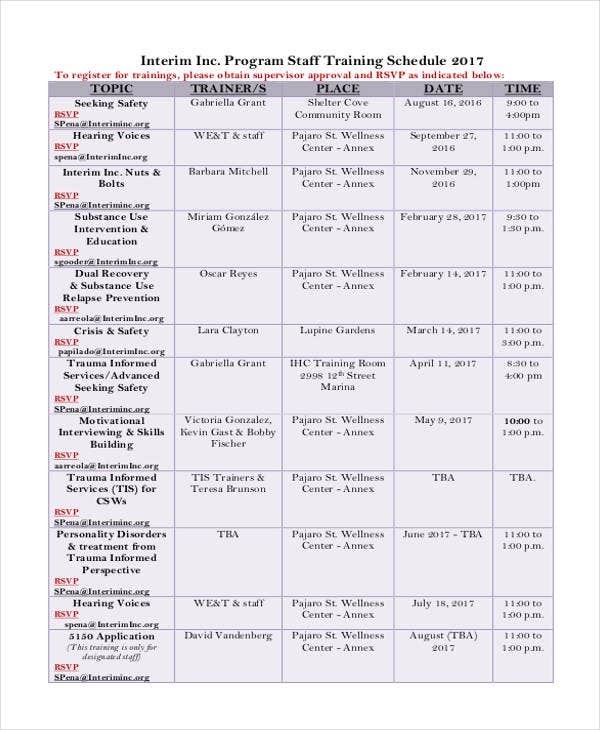 With just a simple tweaking, your safety training schedule is done! 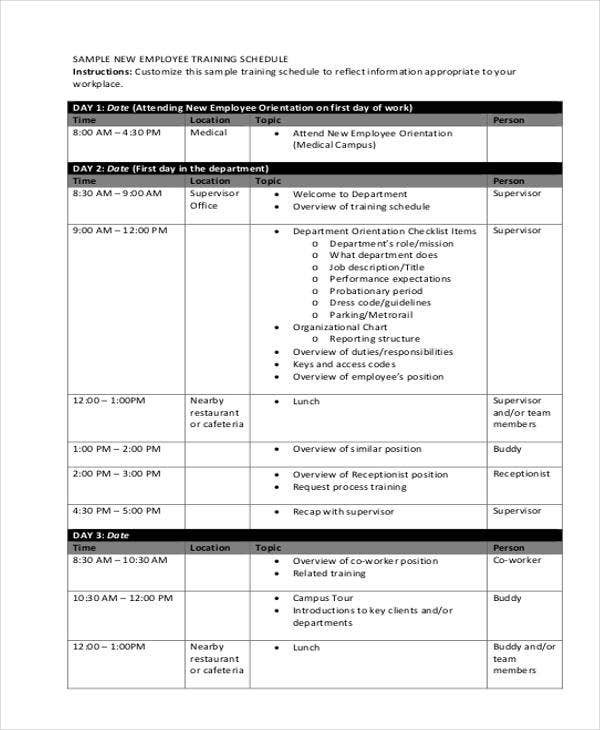 Employee Training Program Schedule Template – This is useful for people making a training schedule for employees, regardless of what program it will be, this template will make a perfect fit. 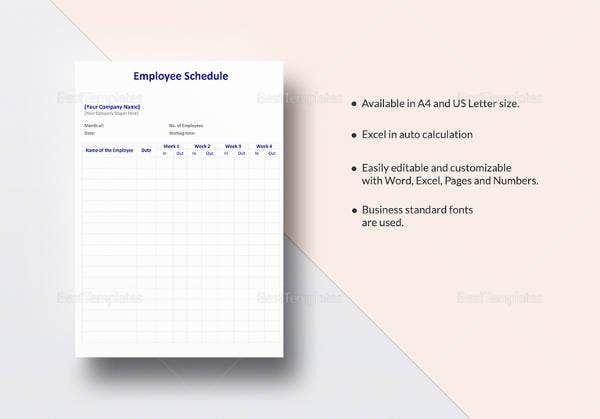 Employee & Staff Training Schedule Template – This schedule template is best for both employees and staff. A comprehensive training schedule template that is convenient to use and easy to follow. 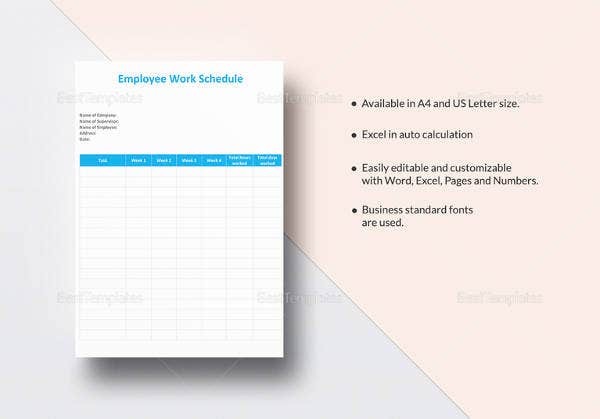 Free Employee Schedule Template – Shifting schedules can be confusing, especially when you’re managing a large number of employees. Avoid the confusion by getting your hands on this template. So when it comes to template concern, you know where to go. Template.net is your one-stop website that offers your template needs.